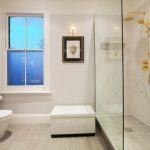 Designing a bathroom can be an exciting thing to do. 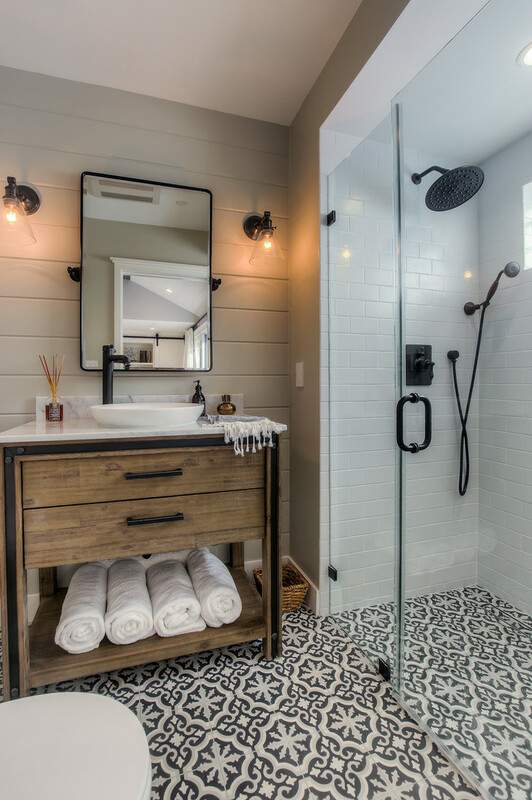 If you want to make a walk in shower, you can have a minimalist or rustic design that is popular nowadays. 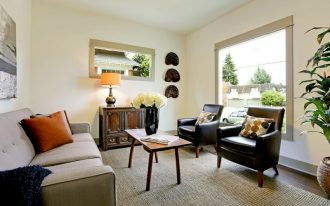 Rustic design can be made by adding some styles and mix them into one design. 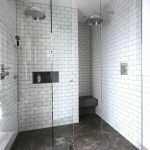 Minimalist walk in shower will look clean and neat. 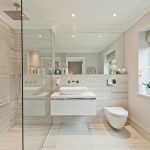 You should consider the arrangement of the shower space with its glass doors, the bathroom vanity, the bathroom tiles, and some additional things for your bathroom. 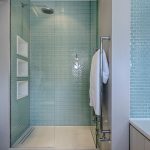 You may get inspiration from these enticing walk in shower designs that are absolutely worth to get. 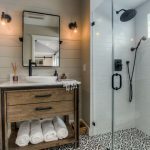 This rustic bathroom design features a beautiful black and white patterned cement tiles on the floors, an infinity drain, a frameless shower door, dark color shower fixtures, a rustic wooden vanity with drawers, a mirror, and custom lighting. 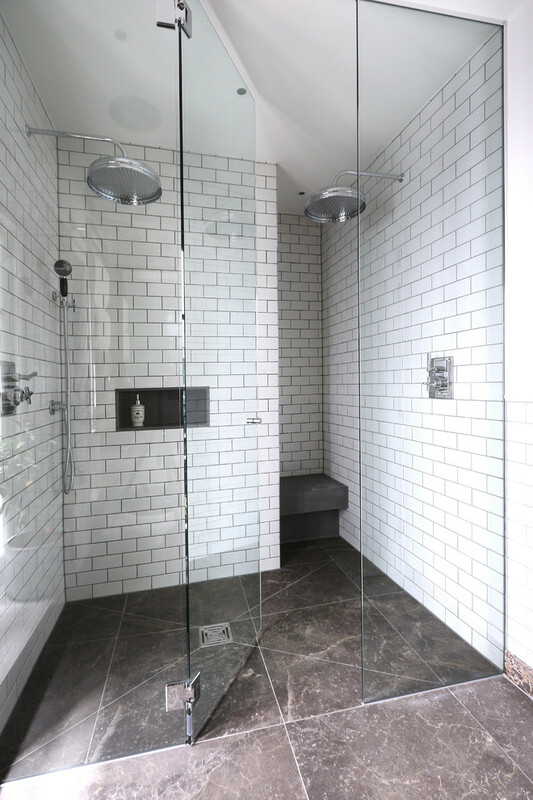 This walk-in shower room has two head showers, white subway wall tile with the dark grout, a shampoo shelf, and frameless glass door. 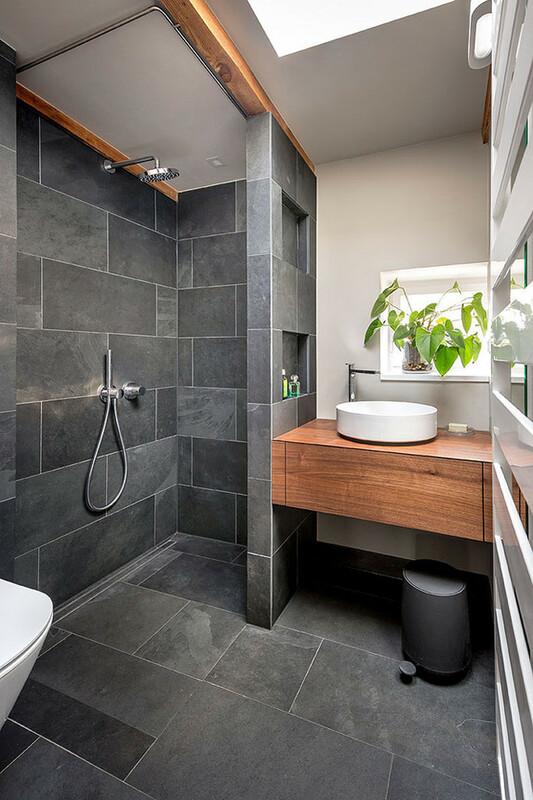 You can make a shower room in a narrow space of your bathroom. The same tile through shower will make all appear larger. You can add three white built-in shelves for shower supplies. 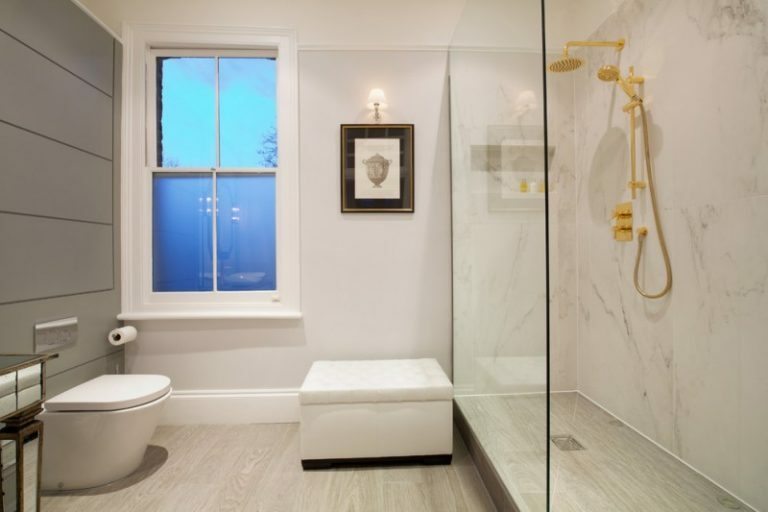 This bathroom has walk in shower with gold shower fixture and modern toilet near the privacy window. 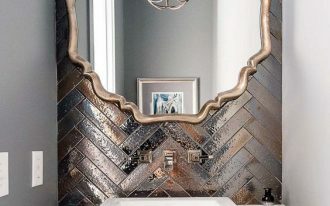 The wall sconce is in the center of this bathroom. 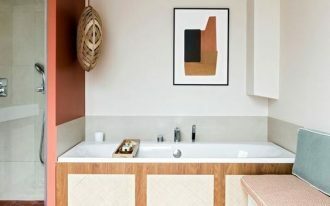 This bathroom also uses timber style ceramic tiles that look like floorboards. 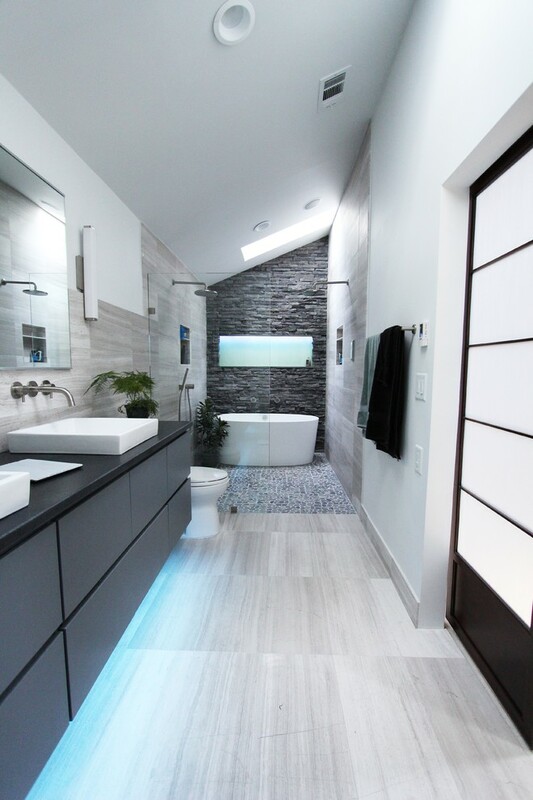 This open plans shower design brings glass screen that creates a light bright free. The shower and the tub are separated. The white marble on the back wall is actually two slabs that have polished on opposites sides and joined in the middle. 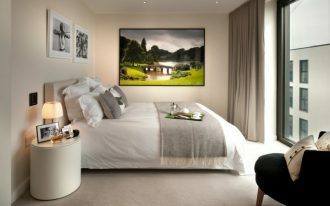 It will be a dramatic wall design. 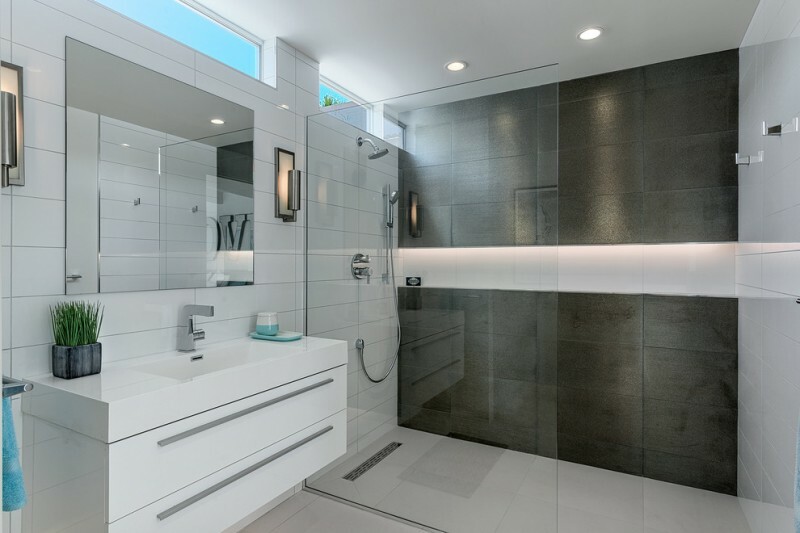 This walk in shower is completed with a square head shower, two built-in shelves, recessed lighting, bamboo beige large wall tile, and small white floor tile. 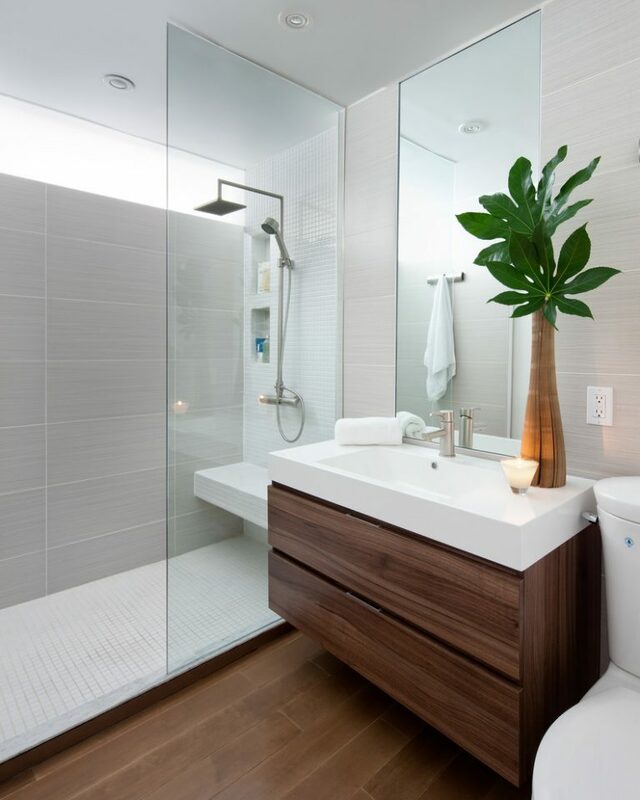 The wood bathroom vanity is provided next to the shower area with plant decoration and wood flooring. 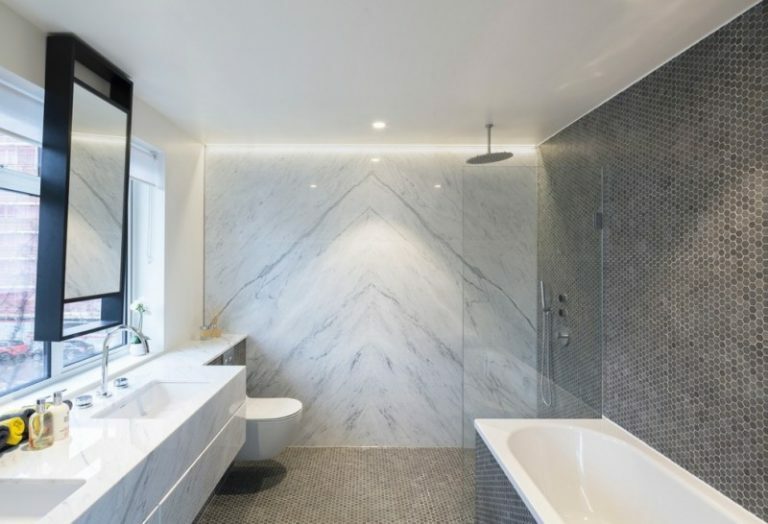 It will make this bathroom design look minimalist and natural. 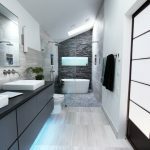 This bathroom is designed in 3 square meters dimensions with big dark great tiles for bathroom floor and wall. 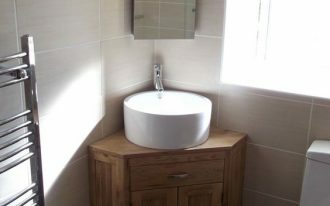 You can find a mounted wooden vanity next to the walk-in shower with small white sink and some shelves on the wall side. 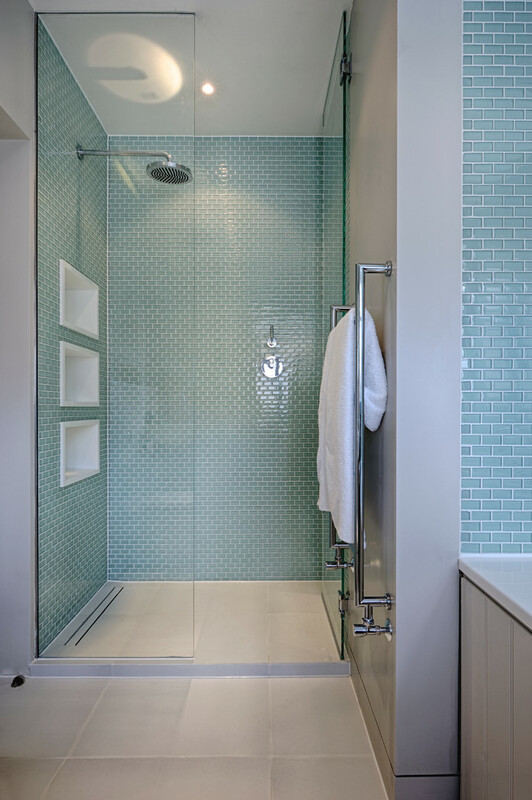 This walk-in shower design is suitable for a narrow long space. 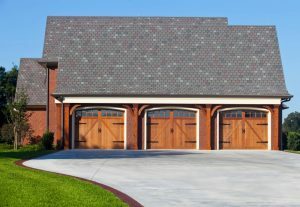 White color will make it look neat and clean. 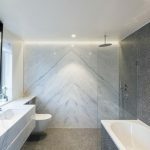 You can keep the stone pattern from shower across to sink and toilet to make a parallel design. There are large glass door and a wide mirror to make this bathroom look more spacious. 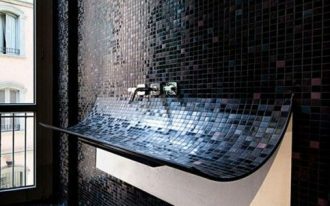 This contemporary design may be the most popular for a walk in shower design. 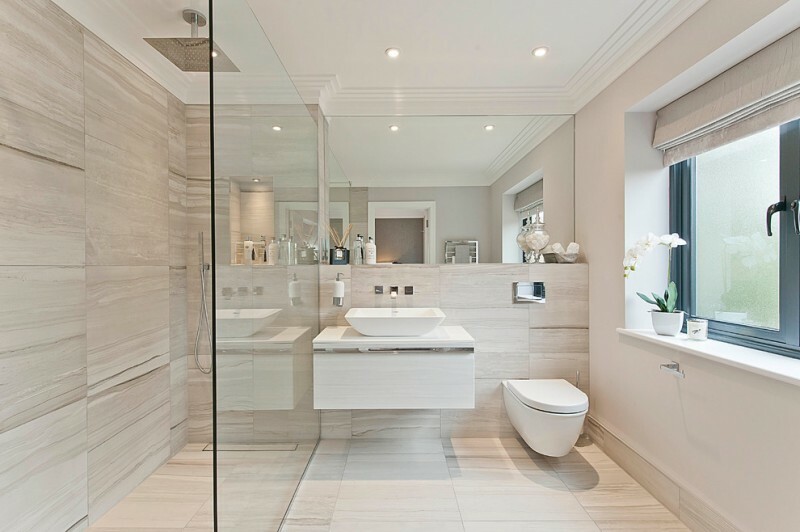 This bathroom is completed by shower area, white vanity, and a big mirror.